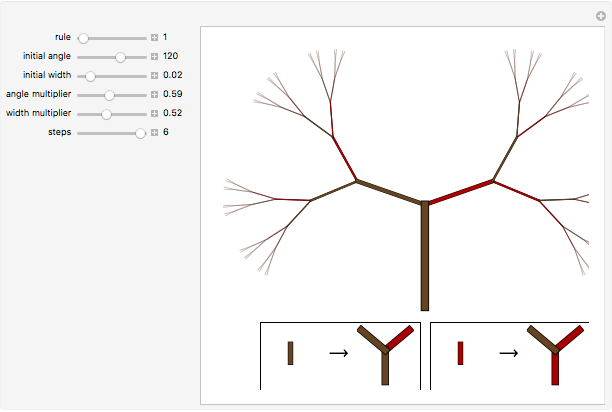 In this Demonstration, substitution systems are visualized as trees, with each new substitution becoming a new set of branches. The rule icon for the evolution is shown below the evolution. 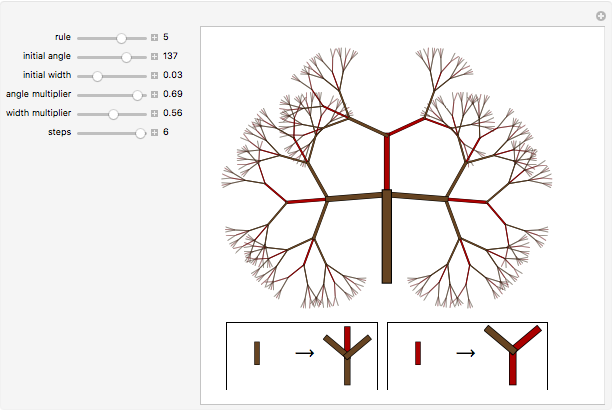 Use the controls to change the initial branching angles and widths of branches, the amount by which each new branch angles off (angle multiplier), and the amount by which each new branch is thickened (width multiplier). 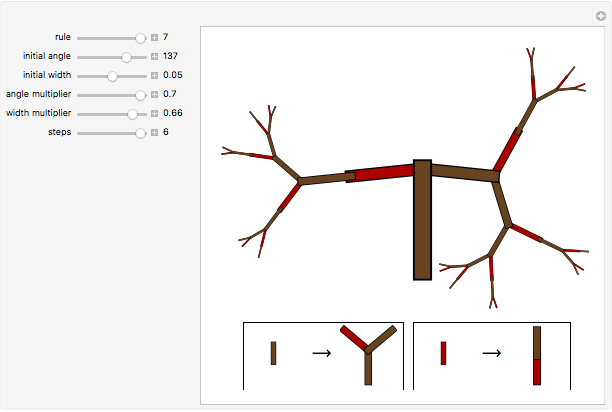 Abigail Nussey "Substitution System Trees"